Michigan breezed past Youngstown State in its most dominant win not just of the season, but since 1919. The Wolverines beat the Penguins by a final score of 105-46 in a game that was never competitive from the opening tip. 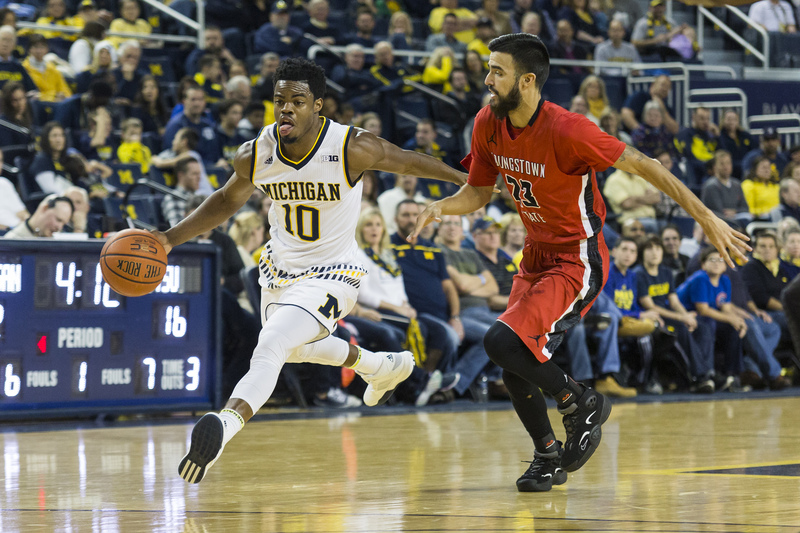 Michigan took its starters out of the game around the eight minute mark in the second half, after starting point guard Derrick Walton had already recorded a triple-double. Almost every Wolverine got in on the action as five Michigan players reached double-figures and four more had at least 7 points in the dominant victory. To my eyes, holding Youngstown State to .65 points per possession was a more impressive feat than scoring 1.49 points per trip, and the offensive performance probably isn’t possible without the defense. Rip and run was the name of the game for Michigan on Saturday night as it held the Penguins to just a 36% effective field goal percentage and rebounded 88% of the Penguins’ missed shots. Youngstown State’s offense came into the game ranked 176th nationally and this was its worst offensive performance of the year by a wide margin (previously .85 PPP at Purdue). Michigan routinely turned clean rebounds into easy points as it pushed the tempo (70 possessions) and found layup after open three. 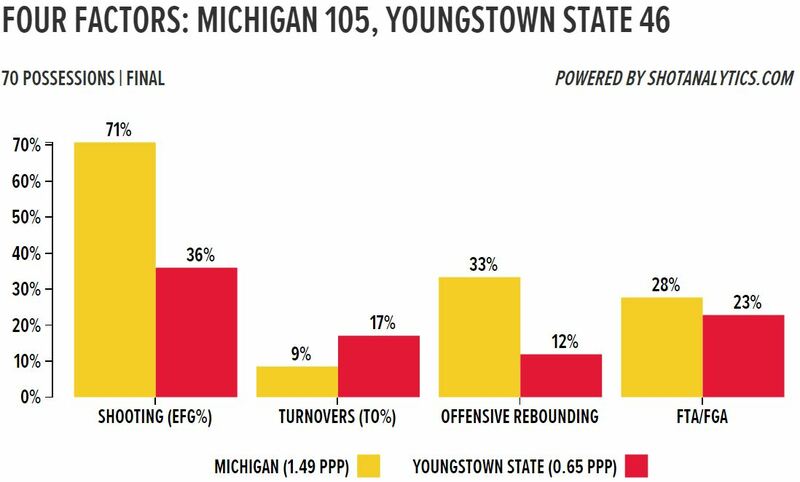 Even when Youngstown State did have time to set up its zone defense, the Wolverines worked their zone offense to perfection. Looking for a sign that the offense was clicking? 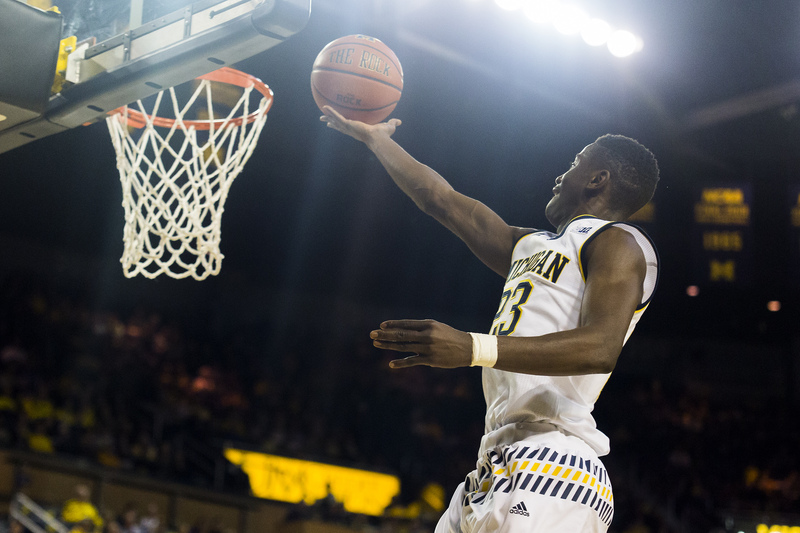 It’s hard to settle on just one, but the Wolverines made 80% of their 2-point attempts on the night (28-of-35). Perhaps the scariest part of Michigan’s offensive performance is that its 71% effective field goal percentage wasn’t even its best shooting performance of the year. The Wolverines have already topped that number it in wins over Texas and Charlotte. A big reason for that shooting efficiency was that the ball never stuck. 73% of Michigan’s 40 made field goals were assisted and nine different players notched at least one assist in the win. Zone defense creates more passing opportunities, but this was a flawless showing on the offensive side of the ball by the Wolverines. There’s not a ton to take from a drubbing of an over-matched opponent, but its still better than any alternative result. Michigan is healthy and starting to build some chemistry as it prepares for Big Ten play. Before their December 30th opener at Illinois, the Wolverines will have one more guarantee game on Wednesday evening against Bryant. Derrick Walton: There aren’t many 6-foot-1 guards who are capable of recording a triple-double. Walton made it two triple-doubles in two games with his 10 point, 13 assist, 11 rebound, four steal outing. He’s always been a great rebounder, so the 13 assists were perhaps most impressive. He attacked all night with the ball in his hands and looks healthy and confident heading into league play. Caris LeVert: LeVert finished with 19 points on 7-of-8 shooting with six rebounds and five assists in one of the quietest dominant games ever. He didn’t force things or waste dribbles, but attacked and made open shots when they presented themselves. Duncan Robinson: When 14 points on 5-of-10 (4-7 3pt) shooting, six rebounds and three assists feels routine, you’ve proven that you belong at this level. Robinson reached double-figures for the seventh straight game and added a career-high six rebounds for good measure. He’s now a fixture in the starting lineup and Michigan’s offense has seemed to get out of the gate much faster since that change was made (obviously the competition could have something to do with that). These games have been good for Robinson because he’s starting to do a little more than shoot whether its rebounding, passing or handling it a bit more. Aubrey Dawkins: Dawkins was the last rotation player off the bench today and his confidence looked rattled on the first shot he took. He missed that one, but went on to make 8 of his next 10 shot attempts en route to 19 points. Beilein did a great job of getting him involved with a little curl set on the next offensive possession and then he had a chance to heat up with some highlight transition dunks. Dawkins is so capable of putting up big numbers in a hurry and Michigan needs him to regain some of that swagger off the bench before league play. Zak Irvin: Irvin continues to do just about everything other than hit perimeter shots. He continued to be aggressive off the bounce against Youngstown State and was 3 for 3 inside the arc, but was just 0 for 3 from long range. Five defensive rebound and an assist added to an otherwise solid game, but Michigan needs its starting wing to start hitting threes in league play. Kam Chatman: Chatman made plenty of positive plays inside of 15-feet, but missed all three long range attempts on the night. He has so many unique tools and was able to get to the line four times, make 2 of 3 shots inside the arc and hand out a pair of assists, but it feels like until he can hit that three (1-of-15 this year) there’ll be a ceiling on his role. Moritz Wagner: Wagner earned 26 minutes on the night after a short stint in Tuesday night’s game. He’s the most natural offensive player among Michigan’s bigs and did a great job of flashing open. He scored 7 points on 2-of-3 shooting, but also got to the line six times (where he shot just 50%). There were still a few freshman moments, but it was a solid performance from the German. DJ Wilson: Wilson is apparently healthy after Beilein reported on Friday that he might need a few more weeks to recover. He didn’t play until late, but scored 12 points on 5-of-6 shooting in just six minutes of play including back-to-back threes to close the game. The lost time due to injury over the last two weeks appear to have set Wilson back a bit in the rotation, but his length and versatility are still promising. Ricky Doyle: Doyle had three catches and finishes in an otherwise quiet night. He plyaed 13 minutes and grabbed only one rebound and has a few shaky catches around the rim. Muhammad-Ali Abdur-Rahkman: Muhammad-Ali Abdur-Rahkman: Abdur-Rahkman didn’t attempt a shot in 13 minutes, but handed out an assist and grabbed three rebounds. The big rotational note here might be that Michigan went with Zak Irvin at the two-guard spot late in the first half rather than go back to Abdur-Rahkman. If Dawkins is playing well, I wouldn’t be surprised to see the Walton-Irvin-Robinson-Dawkins combination used to rest LeVert at times this season. Mark Donnal: Donnal saw just nine minutes of action and missed his only shot attempt, a running layup in transition.